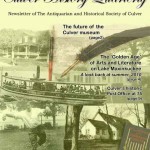 Collecting the (usually) quarterly newsletters of the Antiquarian and Historical Society of Culver, 1994 to the present. Click to browse each of the collections. 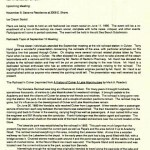 Click the icon to browse newsletters between 1994 and 1999. Click the icon to browse newsletters between 2000 and 2004. 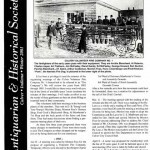 Click the icon to browse newsletters between 2005 and 2009. 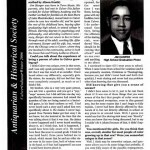 Click the icon to browse newsletters between 2010 and the present.